The thing I love about the digital age is that it has really taken learning to the next level. Our children aren’t just learning with books and paper, technology is wrapped into just about everything they do. The experience, if done right, can be more rewarding for the child in the end. A beautiful example of this is the new app The Little Mermaid – A Magical Augmented Reality Book by Books & Magic. Explore scenes from the classic story of The Little Mermaid in a new and magical way. Watch the beautiful illustrations come to life, directly in front of you, as the device becomes a window into the universe of the book. Go explore from any angle or distance and unlock hidden surprises! The magical illustrations can be found within the app to be displayed on a separate device while the game is played on another. For an optimal experience try using the app with our physical book. Using the latest augmented reality technology this app brings the story to life. 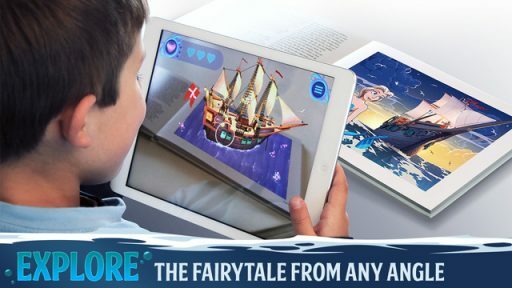 The Little Mermaid – A Magical Augmented Reality Book is a unique take on the Hans Christian Andersen classic that engrosses and entertains as it tells its wondrous tale. Everyone is familiar with the story of the mermaid who wishes more than anything to become human. In this version, the scenes are beautifully illustrated and really brings the story to life. 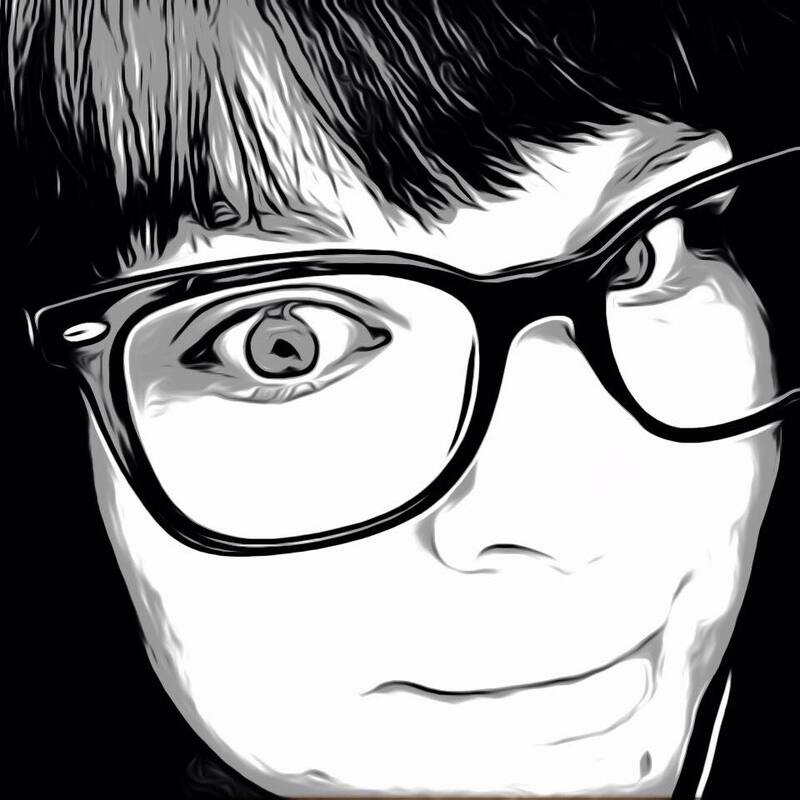 What makes this app so special is the magic that appears within the illustrations. With the help of the app, the viewer aims the phone at the scene in the book to activate it and bring it to life. Not only do the characters and scenery seem to pop out of the book, but the items within are interactive. For example, the intro page allows you to pick up pearls from the shells and give them to the mermaid. Searching through the setting, keys and treasure can be found that can then be inserted in a cannon to produce a delightful animation where the treasure rains down onto the mermaid. It is all quite a lot of fun and it all looks really great. To be part of the entertainment, all you need is the book and the app. The book can be purchased here where you can also see more information including screen shots. Don’t have the book? Well you can also download the app to a tablet to view the book images, then use the app on your phone to see all of the magic! The first image is free to try, to gain access to all of the scenes it is just an in-app purchase of $9.99. I was able to try it with my tablet and the app worked flawlessly. Augmented reality has really come a long way and after seeing what this app can do for a children’s story book, I for one am very excited to see where else it takes us. 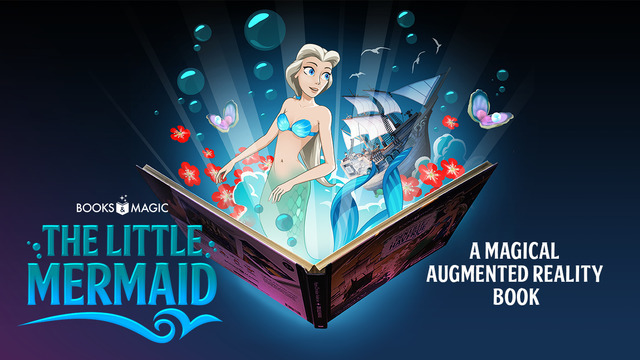 The Little Mermaid – A Magical Augmented Reality Book is available now in the App Store for free.